Entries are now being accepted for the third season of Sinag Maynila Film Festival! 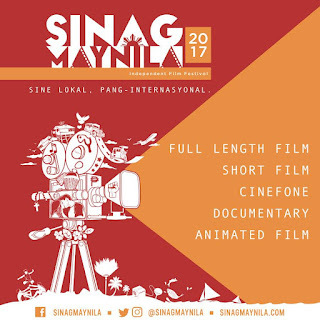 Sinag Maynila and its featured local indie films have been gaining traction in various international film festivals—Vesoul International Asian Movies Film Festival, Busan International Film Festival, Toronto International Film Festival among others. Under the supervision of Sinag Maynila CEO and Founder Wilson Tieng, and world-renowned and internationally acclaimed film director Brillante Ma Mendoza, the diverse and captivating stories of the produced films garnered attention overseas. With the tremendous success of the film festival’s debut in March 2015, more talented filmmakers took their chance in getting a nod to be part of the competing roster for the following season. Being selected for Sinag Maynila has been closely associated with the opportunity for international recognition, hence the new tagline “Sine Lokal, Pang-Internasyonal”. For Sinag Maynila Film Festival 2017, it is opening more doors for the immensely talented and artistic crowd. Apart from the Full-Length, Short Film, and Cinefone, two new categories are now on deck—Animated Films and Documentary. To get the full mechanics, log on to http://sinagmaynila.com/2017-mechanics/. 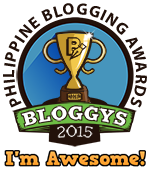 Deadline of entries for all categories is December 12, 2016. Do you have a compelling story to tell the world? Send it to us at Solar Entertainment Corporation, 3/F Worldwide Corporate Center, EDSA cor. Shaw Blvd., Mandaluyong City, 1552. Entries must be submitted in a long brown envelope properly labeled with the filmmaker’s name, title of film, contact details and indicating the category. Entries sent via online links will not be entertained. For more details and updates, visit http://sinagmaynila.com/, Facebook.com/SinagMaynila, Twitter and Instagram via @sinagmaynila, or email us at sinagmaynila@gmail.com. Subscribe also to the official Sinag Maynila Youtube Account: https://www.youtube.com/channel/UCmZPI6kPKUCsbim9e_qByNQ.